This post has been two months in the making, but it's finally ready to publish. 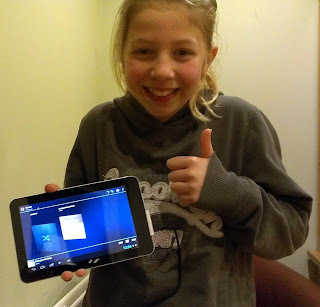 Yesterday I finally completed the replacement of my daughters cracked touch-screen. 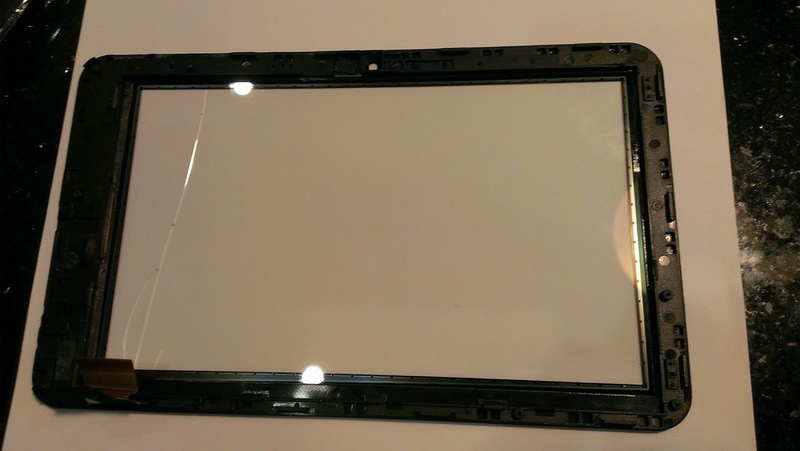 Disassemble the tablet to reach the touch screen. The photo sequence on G+ shows the steps. You need to take care to keep earthing yourself, and not damage any of the components with the screwdriver, knife or soldering iron. Once I'd successfully removed the broken screen, I ordered a new one from the tablet supplier (Ployer, in China). They agreed to ship it for £20. Reassemble the tablet following by reversing the steps. Power on and pray. The result was one very happy daughter. Your daughter indeed looks happy! The tablet seems like a complicated device, since it’s a very modern one, so a lot of people feel intimidated doing simple repairs. However, it’s actually easy, as you have shown. Nevertheless, if you don’t feel confident about doing electronic repairs, it’s better to ask professional help as this may cause further damage to your tablet. Just curious, how did the tablet screen break? Thanks for your comment. The screen was cracked by a USB adapter that was part of a tablet case. Won't be buying one of those again! Two months? I wonder why it took that long. How much time did it took for the manufacturer to ship the screen? Anyways, it’s good that you were able to fix it yourself. That said, thanks for sharing your solution with us! Your daughter looks adorable, by the way. Cheers!